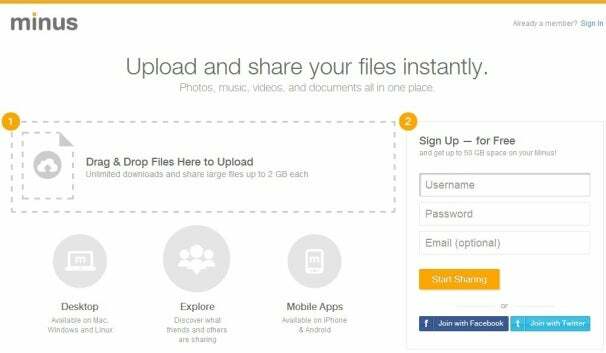 The U.S. government's shutdown of MegaUpload might have seemed like bad news for online file sharing, but it could be a boon for other file sharing sites -- at least those that aren't afraid to keep operating. While some MegaUpload alternatives have suspended operations or restricted U.S. visitors, others are alive and well, and remain confident about staying that way. Benefits and Restrictions: No login required, unlimited total storage, unlimited simultaneous downloads. Restrictions: 200 MB file size limit, files removed if the user or the file is inactive for an unspecified period of time. Premium Version: $9 per month Pro accounts get 4 GB max upload size, no time limits on storage, no ads, 100,000 MB per month of direct downloads, secure redundant backups and other benefits. 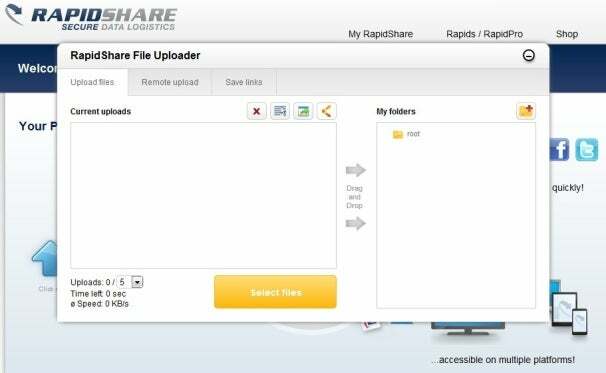 Benefits: No file size limit, unlimited storage, unlimited transfer speeds. Restrictions: Must create login to upload files, wait time required before downloads, files removed after 30 days of inactivity. Premium Version: A RapidPro account costs 9.90 euros per month, or less when purchased in longer durations. It includes no wait times before downloads, no time limits on storage and SSL-encrypted file transfers. Benefits: No login required, no ads for registered users. Restrictions: 400 MB max upload size (or 1 GB with login), 244 GB storage limit for registered users, files removed after 30 days of inactivity, users may not download more than 10,000 MB per three days, slower download speeds, wait times before downloads begin. Premium Version: A premium account costs 9.95 euros, or less when purchased in longer durations. 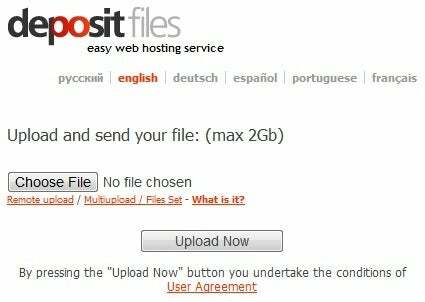 It includes a 2 GB maximum upload size (but only other premium users can download files larger than 1 GB), unlimited storage space, unlimited download speeds, unlimited parallel downloads, plus other benefits. Restrictions: 2 GB file size, wait times apply, 5 GB per day download limit, files removed after 30 days of inactivity (or 90 days for registered users), priority speeds given to paid users, one download allowed at a time. Premium Version: A Gold account costs $11.95 per month, and includes up to 50 simultaneous downloads, 15 GB of downloads per day and no waiting times for downloads. Restrictions: 2 GB max file size, wait times before downloads, 750 GB max storage space, files removed after 30 days. Premium Version: A $9 per month Premium account provides 10 GB max upload and download sizes, no wait times, parallel file downloads, ability to resume downloads, unlimited storage space, no time limits on storage. 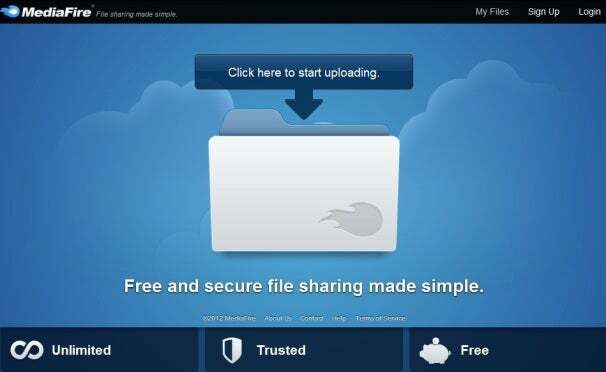 Benefits: No login required, files never removed for registered users, desktop and mobile apps available, unlimited downloads and transfers, ability to share and search for publicly available files. Restrictions: 2 GB maximum file size, 10 GB maximum storage (or up to 50 GB with referrals).